David Wilcots, P.G. – Sci-Tek Consultants, Inc.
David has performed over 350 Phase I and II Environmental Assessments for purposes of environmental investigation, due diligence, compliance with environmental regulations in support of property transfers, mergers, financing, and acquisitions in 13 states. He has managed remediation projects under Pennsylvania DEP Act 2 and Superfund (CERCLA) regulations, remediated underground storage tank sites, and conducted soil and groundwater contamination investigations in a number of eastern states. His experience also includes environmental expert witness support, and he has served as the Health and Safety Officer at remediation, construction and demolition sites. 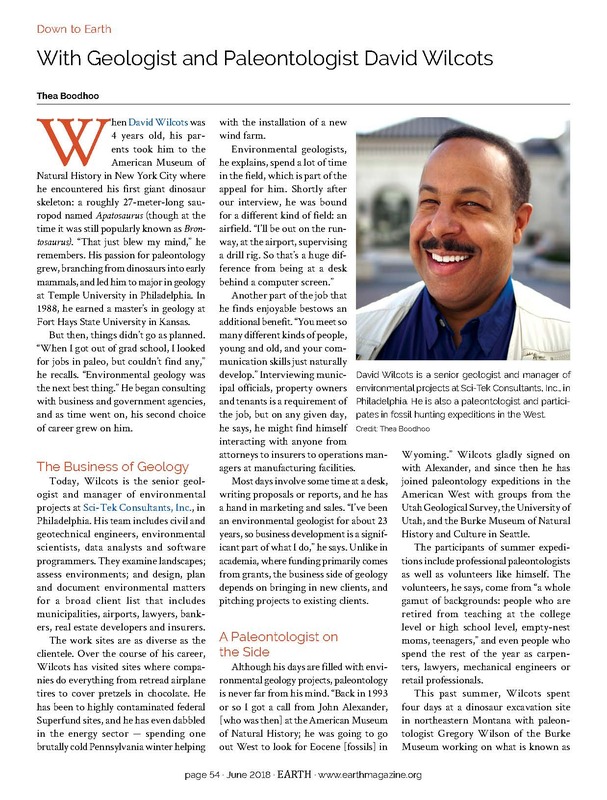 David was recently featured in Earth magazine's Down to Earth With column.